POPE FRANCIS HAS said that the Big Bang is not inconsistent with Catholicism, noting that God wasn’t a magician. The Pope made the comments at a meeting of the Pontifical Academy of Sciences at the Vatican, where ‘Evolving Concepts of Nature’ were being discussed. “When we read about creation in Genesis, we run the risk of imagining God was a magician, with a magic wand able to do everything. But that is not so. Although his thoughts on certain issues are radical when compared to his predecessors, Francis is not the first Pope to have expressed such an opinion on this subject. In 1950, Pope Pius XII said that the theory evolution was not at odds with Catholic teachings, while Pope John Paul II said it was “effectively proven fact” in 1996. Email “Pope backs evolution theory, says 'God doesn't have a magic wand'”. 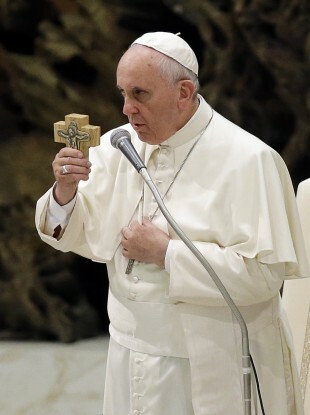 Feedback on “Pope backs evolution theory, says 'God doesn't have a magic wand'”.